When a product becomes as popular and world-changing as the iPod, people want to answer the question "who invented the iPod?" If you guessed the answer is "Steve Jobs and a bunch of folks at Apple" you're mostly right. But the answer is also more complex and interesting than that. That's because the iPod, like most inventions, was preceded by other, similar inventions — including some that go as far back as 1970s England. Who Invented the iPod at Apple? Apple didn't invent the idea of a digital music player that could fit in your pocket. In fact, the iPod was far from the first portable MP3 player. A number of companies — including Diamond, Creative Labs, and Sony — were selling their own MP3 players for a few years before the iPod debuted in October 2001. While there were MP3 players prior to the iPod, none of them had been big hits. This was partly due to price and features. For example, the 1999 Creative Labs Nomad had 32 MB of memory (Not GB! Those 32 MB are enough for about 1 or 2 CDs at low audio quality) and cost US$429. Beyond that, the digital music market was pretty immature. In 2001, there was no iTunes Store yet, no other download stores like eMusic, and Napster was still pretty new. 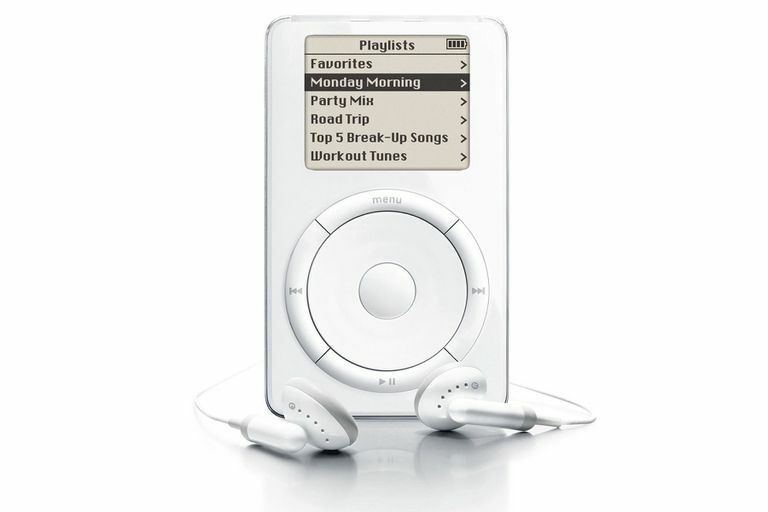 Part of why the iPod succeeded was that it was the first product to really make the process of loading and listening to music easy and enjoyable. Jonathan Ive: After helping design the original iMac and iPod, he is now Chief Design Officer at Apple. Tim Wasko: An interface designer at Apple. Steve Jobs: Co-founder of Apple and the company's CEO at the time. He oversaw the iPod project. He died in 2011. Did you know that the person who gave the iPod its name wasn't even an Apple employee? Vinnie Chieco, a freelance copywriter, suggested the name iPod because he was inspired by the line in the movie 2001, "Open the pod bay door, HAL." Apple often builds its hardware and software entirely in-house and rarely partners with outside companies. That wasn't the case during the development of the iPod. The iPod was based on a reference design by a company called PortalPlayer (which has since been acquired by NVIDIA). PortalPlayer had created a prototype device using an embedded operating system similar to the iPod. Apple is widely known and respected for its simple, intuitive user interfaces, but Apple didn't completely design the first iPod interface, either. Instead, it contracted with a company called Pixo (now part of Sun Microsystems) for the foundational interface. Apple later expanded on it. But Who Really Invented the iPod? As noted earlier, Apple was far from the first company to sell a portable digital music player. But would you believe that the basic concept for the iPod was invented in England in 1979? Kane Kramer, a British inventor, developed and patent the idea of a portable, plastic digital music player in 1979. Though he held the patent for a while, he couldn't afford to renew the worldwide patent on his idea. Because the patent had expired by the time MP3 players became a big business, he didn't make any money from his original idea when it started showing up in everyone's pocket in the 2000s. While Kramer didn't directly benefit from his invention, Apple did acknowledge Kramer's role in inventing the iPod as part of its defense against a patent lawsuit in 2008.